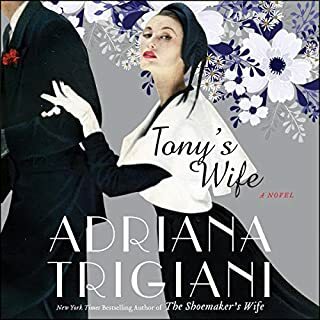 Set in the lush Big Band era of the 1940s and World War II, this spellbinding saga from beloved New York Times best-selling author Adriana Trigiani tells the story of two talented working class kids who marry and become a successful singing act, until time, temptation, and the responsibilities of home and family derail their dreams. Thank goodness Ms. Trigiani has gone back to her best stories! Valentina DeLuca has made hundreds of brides’ dreams come true. At Sposa Rosa - the Astoria, New York, boutique where she, her sisters, and their mother design and sew couture knock-off gowns - she can find the perfect style for even the most demanding customer. Now it’s her turn. Valentina has loved Michael Carello ever since he rescued her from a cranky shopkeeper when she was 10 years old. He’s handsome, chivalrous, and loyal, and in a few weeks she’s going to marry him - in Venice. Just when she thinks everything is falling into place, Valentina is forced to reexamine her life to see what truly makes her happy. 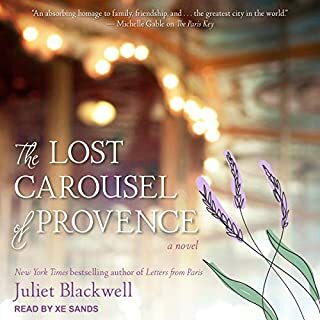 Long, lonely years have passed for the crumbling Château Clement, nestled well beyond the rolling lavender fields and popular tourist attractions of Provence. Once a bustling and dignified ancestral estate, now all that remains is the château's gruff, elderly owner and the softly whispered secrets of generations buried and forgotten. But time has a way of exposing history's dark stains, and when American photographer Cady Drake finds herself drawn to the château and its antique carousel, she longs to explore the relic's shadowy origins. It's 1949, and South Philadelphia bursts with opportunity during the postwar boom. The Palazzini Cab Company & Western Union Telegraph Office, owned and operated by Dominic Palazzini and his three sons, is flourishing: Business is good, and they're surrounded by sympathetic wives and daughters-in-law, with grandchildren on the way. But a decades-long feud that split Dominic and his brother, Mike, and their once-close families sets the stage for a rematch. 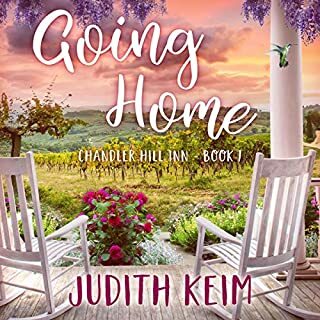 Still grieving the loss of her wandering, free-spirited mother, Lucy Kincaid leaves Nashville for the faded town of Cape Hudson, Virginia. She goes to see the house she’s inherited. At the heart of this mystery is the hope that maybe this “Winter Cottage” will answer the endless questions about her mother’s past including the identity of her birth father. 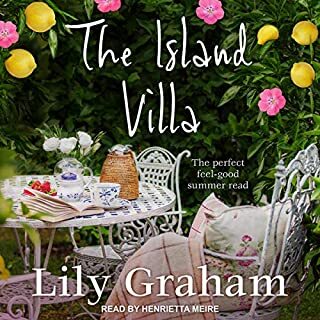 Rather than the quaint Virginian bungalow Lucy expected, Winter Cottage is a grand old estate of many shadows - big enough to hold a century of secrets, passions, and betrayals. When Sukie's husband shacks up with her Pilates instructor, her domestic drama becomes the talk of her small Georgia town. Friends from her married life prove fickle, and Sukie hides at home, terrified of encountering the town gossips at the grocery store. Betsy, Sukie's neighbor, invites her to join "Fat Fridays", a weekly gathering at a local café where the women order whatever they crave - no calories counted. Over sausage pizza and sage advice, Sukie gets a grip on her new life. 1940: As the Germans advance upon Paris, young seamstress Estella Bissette is forced to flee everything she's ever known. She's bound for New York City with her signature gold dress, a few francs, and a dream: to make her mark on the world of fashion. Present day: Fabienne Bissette journeys to the Met's annual gala for an exhibit featuring the work of her grandmother - a legend of women's fashion design. But as Fabienne begins to learn more about her beloved grandmother's past, she uncovers a story of tragedy, heartbreak, and family secrets that will dramatically change her own life. This book would makes for a mindless read. In college, Pia Santore dreamed of going to New York and taking the Big Apple by storm with her younger sister Erica. Instead, Pia has arrived in Astoria, Queens with a prestigious journalism internship at a celebrity magazine - and no Erica. Though the neighborhood has an abundance of appeal - including the delectable confections sold at her Aunt Antoniella's bakery - the pain of losing Erica a few years ago still feels fresh. Pia's arrival coincides with an unexpected sighting. Italian movie icon Francesca Donata is rumored to be staying nearby, still every bit as voluptuous and divaesque as in her heyday. 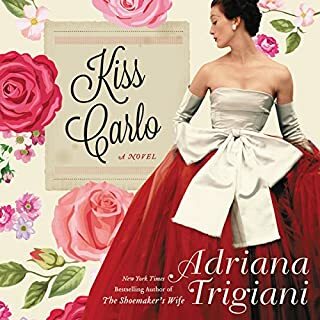 With the help of a handsome local artist with ties to Francesca's family, Pia convinces the legend to grant her a series of interviews, even traveling to her house in Rome. 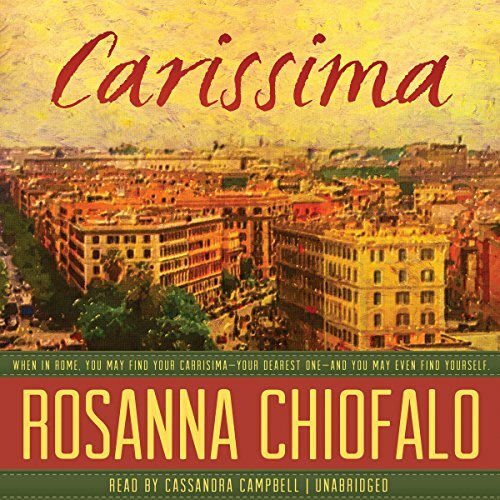 In the Eternal City, Pia begins to unearth the truth behind the star's fabled romances and tangled past. 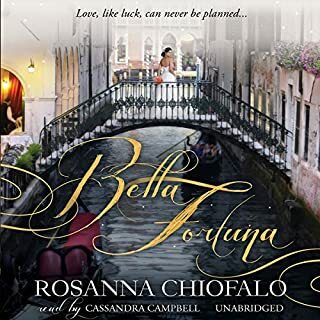 And here too, where beauty and history mingle in every breathtaking view and hope shimmers in the Trevi Fountain and on the Spanish Steps, Pia gradually learns how to love and how to let go. For when in Rome, you may find your carrisima - your dearest one - and you may even find yourself. ©2013 Rosanna Chiofalo (P)2013 Blackstone Audio, Inc. I found this book to be average chick lit. The characters were largely stereotypical, and old fashioned in their life view as well. 3 stars for some maturity in the plot line.